Call for Appointment to View! In Backing Up Classics Auto Museum! 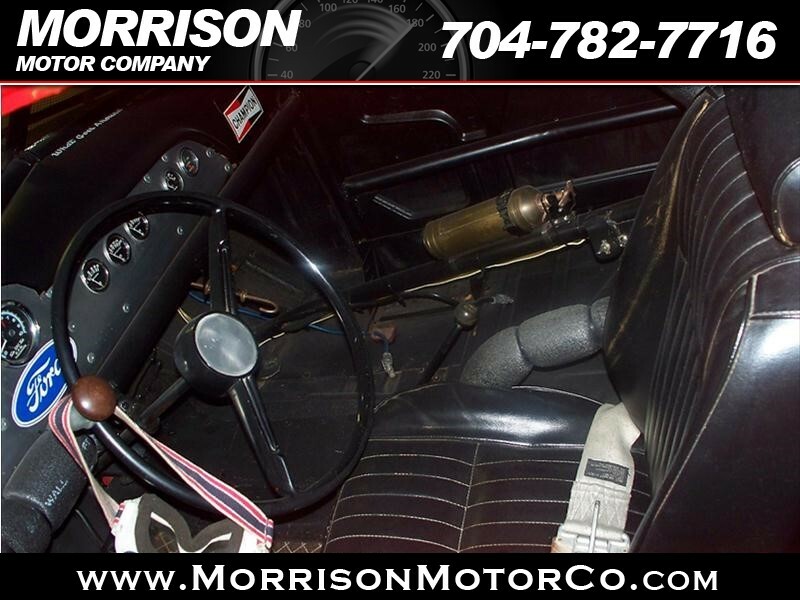 This 1951 FORD RACE CAR has many available options! Please contact us for a list of options and equipment. 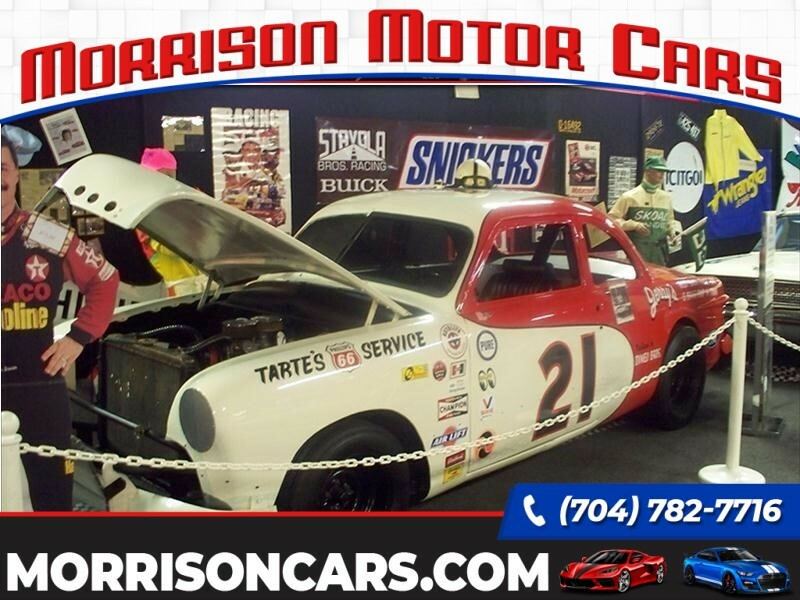 1951 FORD RACE CAR, RED & WHITE, 2 CARB WITH ALUMINUM INTAKERACED UNDER #21 & #22 BY BOTH JIM AND JERRY DIMEO. 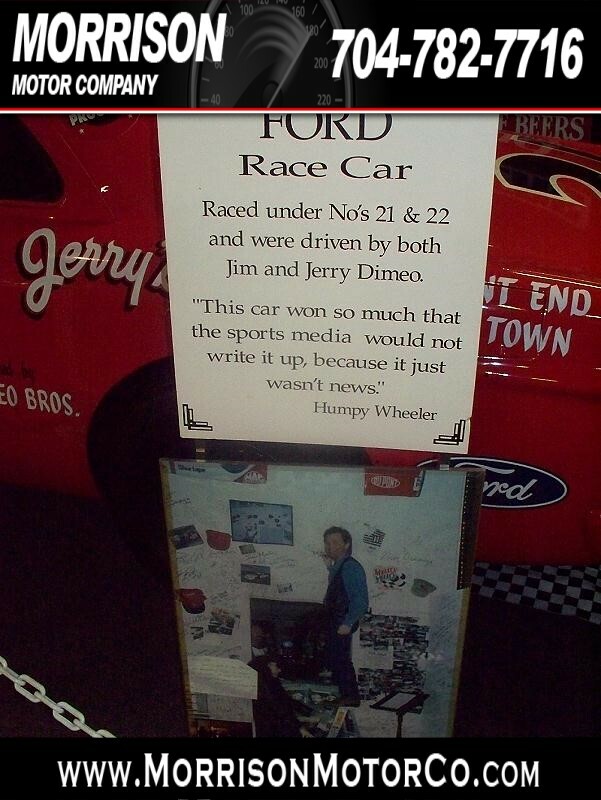 HUMPY WHEELER QUOTED ABOUT THIS CAR "THIS CAR WON SO MUCH THAT THE SPORTS MEDIA WOULD NOT WRITE UP, BECAUSE IT JUST WASN'T NEWS." 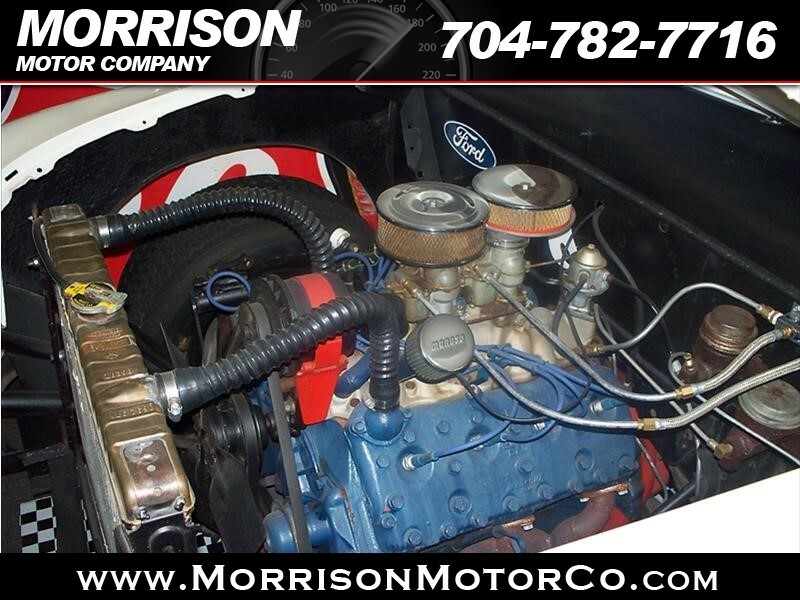 MORRISON MOTOR COMPANY HAS BEEN IN BUSINESS SINCE 1970! FAMILY OWNED AND OPERATED! WHY BUY FROM US? WE WANT TO MAKE YOUR VEHICLE BUYING EXPERIENCE AS EASY AS POSSIBLE. JUST A COUPLE OF WAYS THAT WE DO THIS IS HASSLE FREE PRICING, EASY FINANCING IF NEEDED, AND DON'T CHARGE THE HIGH FEES LIKE OTHER DEALERS. IT IS OUR COMPANY MISSION TO EARN YOUR BUSINESS TODAY AND FOR THE FUTURE! WE DO TAKE TRADE INS ALSO! WE ARE MORE THAN HAPPY TO GIVE YOU A DETAIL DESCRIPTION OF THIS VEHICLE! CALL TODAY AT 704-782-7716!